The theme of this book is a reexamination of long-held traditions that have divided God's family into warring factions. This book consists of eight chapters, which chapters seek to remove the difficulties of interpreting the Word of God. This book is a call to God's children to reevaluate and reinterpret the various understandings handed down through the centuries. For many sincere followers of Christ, the "faith of the fathers" has become the watchword for the accepted view of the church. Hopefully, these chapters will remove many obstacles that stand in the way of interpreting the Word of God more faithfully. 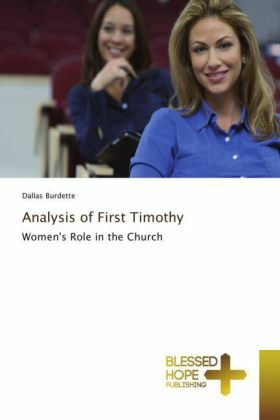 The various chapters dealing with the role of women in the church are not designed to slander Christian brothers and sisters or to accuse them of intentionally misinterpreting the Word of God. This book is intended to help believers to go back to the drawing board to see if what they have been taught concerning the role of women in the church is what the authors of Holy Scripture meant to convey. There is a difference between an honest mistake of the heart and rebellion against God.